They can make all the difference between winning and losing, provide a bums-off-seats moment of magic that leaves fans delirious or despairing. They can send a ball arcing over the defensive wall and arrowing into the top corner of the net as easily and gracefully as us mere mortals fall asleep. They are the virtuosos of the free-kick, and — in FIFA18 — are THE sought-after commodity. As real-life stars of the German top flight take up the #FIFA18 Bundesliga Free Kick Challenge inspired by the game, bundesliga.com looks at the five men who have the fatal touch with the dead ball in the virtual world. A stone-cold lethal weapon from the spot, the Poland international can also make opponents pay the penalty for foul play from further out. As unerringly accurate from distance as he is from 12 yards, Lewandowski's blend of accuracy and power can be used to devastating effect. A frustrated spectator on the sidelines due to his knee ligament injury, Reus can still scare the virtual defences of FIFA with his trademark high-octane dribbling and his fiendish free-kicks. Feared by goalkeepers for his ability to make a ball swerve and dip at will even from distance, Reus offers FIFA aficionados a host of options at free-kicks. Alaba may play left-back, but the fact he frequently takes free-kicks within sight of goal despite Bayern's incredible array of attacking talent says much for the Austrian star's ability. His FIFA doppelgänger is no different. He may not have the wicked curl of Reus, but his laser-guided accuracy is just as potent a weapon when an opportunity arises to mesmerise opposing goalkeepers with his wand of a left foot. Just check out the video above for proof of his set-piece wizardry. 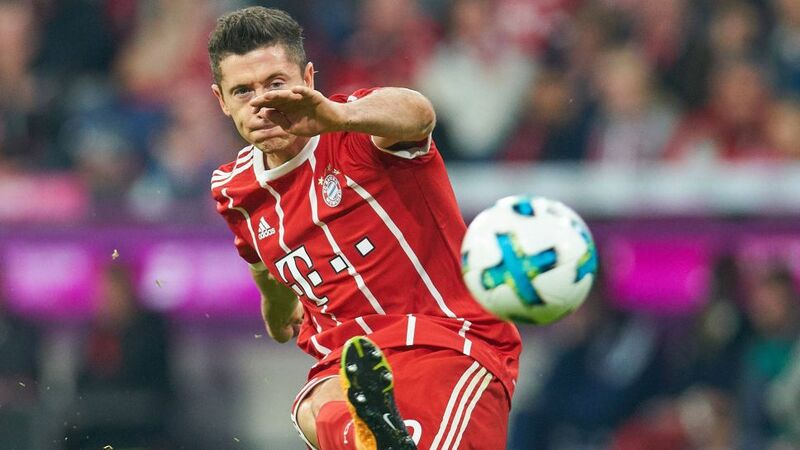 Alaba is the third-best free-kick taker among Bundesliga players in FIFA 18, but he is not Bayern's most skilled exponent of the art. James' left foot is so cultured it probably has a season ticket to the Bavarian State Opera, and the summer arrival from Real Madrid uses it to make the ball dance to his tune, earning himself one of the game's coveted labels as a 'Free-kick specialist'. Even a position out wide from which most players would play the percentages provides a goalscoring opportunity for the Colombian superstar, who makes shooting from seemingly improbable distances possible. It says a lot about the thrill-a-minute attacking play seen in the Bundesliga that the league's top free-kick taker in FIFA 18 is a left-back. Seven top-flight goals in 145 matches is respectable for a defender, but when you learn that all of Plattenhardt's strikes have come from direct free-kicks, it is then you sit up and take notice. He struck three times last season alone, including a Goal of the Season Contender against Darmstadt (see video above). If somehow you're still not impressed, he also takes a mean corner. One snag: if you need a telescope to see the goal, it's better you pick someone else.